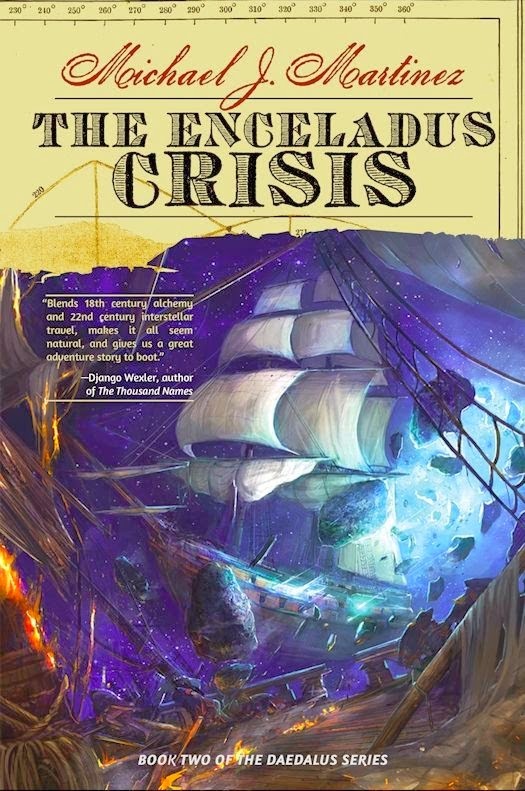 Today at Amazing Stories, I reviewed The Enceladus Crisis by Michael J. Martinez, the second book in his Daedalus series. For those who don't know, the Daedalus series is a tale about two parallel dimensions. One set in a future not far off from our own and another is set in an alternate history where alchemy works. You can find out more by reading my review of the first book in the series, The Daedalus Incident, and my interview with the author. So what did I think of Enceladus? You will have to click on the bolded link above to find out.